This area of 20 9333 inhabitants which, according to INSEE, is approximately 5 000 more than in 2009, comprises a catchment area of services and activities to the extreme south of the Pyrenees-Orientales department of France. It is adjacent to the border with Spanish Catalonia and in particular with the Catalan commercial area of Alt Emporda, to which it is linked via the main road network between France and Spain. It is also linked with the areas in this district known as Haut-Vallespir, les Albères, les Aspres and the Roussillon plain. Every one of the ten communes in this area offers a warm welcome to visitors, with good day-to-day facilities including schools and shops together with a range of leisure opportunities, including parks and lakes, spa centres, country walks and rambles in addition to the exceptional history found in this area. Céret, a country town, naturally shaded by its renowned and ancient plane trees, where tradition and modernity are closely combined. A town with something for every taste, where every day holds something new, where one can find the good life. The Mediterranean influence pervades the town: Céret’s ancestral heritage with its rich civilisation combined with the light and colour for which the area is renowned. An extended stay in town will also reveal to the visitor its peace and calm. For almost 100 years, Céret has been a living example of Art from as early as 1911, having welcomed some of the greatest artists of the 20th century such as Picasso, Braques, Gris, Herbin, Masson, Soutine and Chagall, amongst others. Today, thanks in part to the Musée d’Art Moderne and its involvement in contemporary creativity, art lives on in Céret. Céret is also renowned for its feast days: whether its carnivals, concerts, sardanes, festivals, fairs or exhibitions, the town rises to the occasion and during those lively periods Céret resounds with celebration. Céret celebrates not only its traditions, but also its culture and its talent. Céret produces the first cherries in France and its micro-climate also permits the early blooming of its magnificent mimosa. Céret also benefits from a good-sized industrial area so can also be said to be managing its future. Hydrotherapy and climatique centre, Le Boulou is a charming Catalan town, ideally placed between mountain and sea and just a short distance from Spain. Easy access via the A9 motorway known as ‘La Catalane’, the express roads and dual-carriageways, the airport and railway station at Perpignan, at 20 kms distance. Profiting from its sunny climate, Le Boulou has achieved an ambience which combines good health and well-being, rest and activity, culture and leisure in an environment where everyone can move at their own individual pace. Whether you visit as holidaymaker or as health tourist, this is a town that offers a whole range of activities such as the local swimming pool, which is open in July and August, tennis courts, fishing, hunting, in addition to providing numerous routes for both ramblers and cyclists. In addition to a cinema, library and youth club, Le Boulou also has a Casino which not only provides fruit machines, roulette, stud poker, Baccarat but also tea dances and a restaurant. If you wish to enjoy the facilities of the Casino, you will need to show your passport. For commerce and industry, areas specialising in both artisan and industrial products and services can be found on the outskirts of the town. Come and be refreshed and rejuvenated in the sunny surroundings of this well-known spa town…Le Boulou is waiting to welcome you. The villages of Maureillas, Las Illas and Ruinoguès were consolidated in 1972 and today form one of the largest communes in the area. 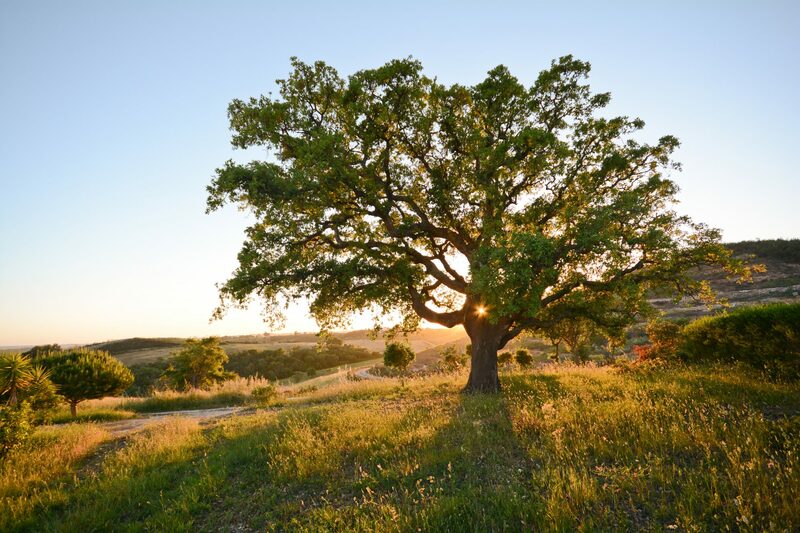 The land of Maureillas is centred on viticulture but moving up to Las Illas and Ruinoguès, we find a more rural environment with its forests of hollyoaks and cork oaks. This wooded environment lends itself to family walks and picnics with its numerous forest paths and byways for rambling, hunting and Autumnal mushroom-picking. In addition to the rural delights, Maureillas also provides cultural attractions such as the cork museum and the pre-Roman chapel Saint-Martin de Fenollar. In the past, the village of Saint Jean Pla de Corts flourished within its rich surroundings of rich agricultural land, its pastures and mills all benefitting from the river and natural springs in the environment. Today, vestiges of these more prosperous times are still evident. Saint-Jean Pla de Corts was for many years the property of the Abbey of Arles, fiefdom of the Count of Cerdagne and Bésalu. It reached its full potential from around the 12th century, notably with the construction of the chateau which served as the summer residence of the King of Majorca. These important past events at Saint Jean continue to form part of the village’s heritage and to provide continued focus for renovation. Reynès comprises a number of small hamlets – those of La Forge de Reynès, Le Pont de Reynès and La Cabanasse which lie on the D115 between Céret and Amélie les Bains whereas Le Vila and St Paul lie on the opposing side of the River Tech. Meanwhile, the village of Reynès sits in a wooded and sheltered position away from the main roads with Els Androuix, Coll de Bousseils and Can Borreil being situated in the green valley of Vaillère. A small country road crosses the village and then rises up to offer lovely mountain views across to Canigou and down over the village of Reynès. The originality of Le Perthus (El Portus in Catalan) lies in the fact that, since the Treaty of the Pyrenees in 1659, this village sits across the France/Spain border meaning that it comprises a French side and a Spanish side. One can pass from one country into another simply by crossing the street. Two boundary markers, one at the entrance to the Spanish quarter and one at the far end of the village, are all that indicate the frontier. This originality has prompted the rise of business and commerce in Le Perthus resulting in a large commercial centre on both sides of the border. This commerce includes boutiques, jewellers, perfumeries, leather goods, food, wines and spirits. This dynamic village also has a range of tapas bars and restaurants providing refreshment and regional specialities. However, Le Perthus is more than a commercial centre. The commune, sitting as it does between the Vallespir and Roussillon, offers endless opportunities to explore the surrounding natural environment – the foothills of the Albères, reaching up to its peak, the Pic Néoulous at 1256m, and extending right down to the Mediterranean Sea or the higher reaches of the Vallespir with the Roc de Frausa at 1440m. Le Perthus also has its important cultural and historical aspects, for example, the Fort de Bellegarde, one of a number of renowned frontier forts constructed by Vauban. In addition, the historic Site des Panissars, situated on the Col de Panissars and containing the Trophée de Pompée, a monument commemorating the victory of the Roman army of General Pompée over the Spanish. Also, the Via Domitia, a Roman road linking the Gard department to this southern extremity of the Pyrenees-Orientales. Les Cluses lies 3 kms from the border with Spain, at the foot of the Albères, the last link in the chain of the Pyrenees, lying between Pic Canigou and the Mediterranean Sea. It is situated at the heart of a valley rich in history, where the Rom, tributary of the River Tech, run through at its narrowest point, home to the ruins of the Castell del Moros, with its counterpart, known as the ruins of the Forteresse de la Clause Haute, being found on the opposing side of the river. These ruins would have historically formed a secure border point, known as the ‘Clausurae’, providing an administrative frontier in Roman times between the two districts of Narbonne and Taraçon. Vivès is situated barely two kilometres from the Le Boulou motorway exit, travelling towards Céret, where on your right you will see a country road winding its way up past the cork oaks and hollyoaks and towards the hills beyond. Just as you drive round the final bend, the village appears before you. Vivès is the perfect example of a typical Catalan village, with its narrow streets and stone-fronted properties, its old square shaded by the centuries-old plane trees. The harsh reality of the area’s scarcest commodity – water – is marked by the presence of the two wells and a fountain on this village square. At the centre of the village lies the restored 12th century church with its historic bell-tower, its beautiful altarpieces and carved stone coffer (10th century replica). The church is situated in a quiet corner of the village, an ideal resting-point in the shade of the olive trees. Vivès has often been called the Jewel of the Aspres…why not take a moment to discover the treasures offered up by this beautiful and characterful Catalan village? To find the village of Taillet, turn off the D115 at the red and gold bridge, le Pont du Reynès, then take a right turn at Le Vila onto the RD63. The narrow country road, well-known to ramblers and cyclists, winds its way through the hills, leading you to your first stopping-point, the hamlet of Notre Dame del Roure. The knoll of Notre Dame del Roure, a veritable idyll of peace, is overlooked by a classified Roman chapel, where, behind the altar, lies a series of recently-restored magnificent 7th century frescoes. Following the road for a further 4 kilometres offers the opportunity to admire the stunning landscape of the Vallée du Tech and across to Mount Canigou in addition to views of both sides of the frontier with Spain. The village of Taillet sits at an altitude of 600m. Its character is reflected in the traditional stone-fronted properties and in its 12th century Roman church of Saint Valentin which sits at the heart of the village, overseeing this haven of calm and serenity. The commune of l’Albère comprises twenty or so farmhouses spread over the area and continues to maintain its original character and its traditions. The Mairie, the presbytery and the Roman church can all be found at nearby Saint Jean. Those ramblers walking up to the Pic Saint Christophe in the morning will be pleased to find the opportunity to take a meal at Can Joan on their way back down. A Roman chapel, restored in recent years, lies at the peak of Saint Christophe, offering magnificent views over the landscape. The path up to Saint Christophe also features one of the most important dolmen in the area, known as Na Christiana. Saint Martin is where the Benedictines of Saint Martin du Mont Furcat welcomed travellers during the Middle Ages, often pilgrims making their way to the Col Furcat. A private Roman chapel can be seen in this area as can a natural spring, once decorated with engraved stones by the shepherd Manel. It is possible to reach the Col d’Ullyat by car and to take a meal at the chalet there. Alternatively, there are picnic-tables and benches beneath the pines as well as a fountain, also decorated by Manel for those who wish to take along their own refreshments. The regional feast-day, ‘La fête du Roser d’Albère’ is on the first Sunday in August and all are welcome.